Limited release coming to PS4, Xbox One, and PC. The ending of Life Is Strange may have been highly controversial, but the game has been widely acclaimed as one of the best storytelling experiences of this generation, and fans are already speculating on a possible Season 2 for the series. 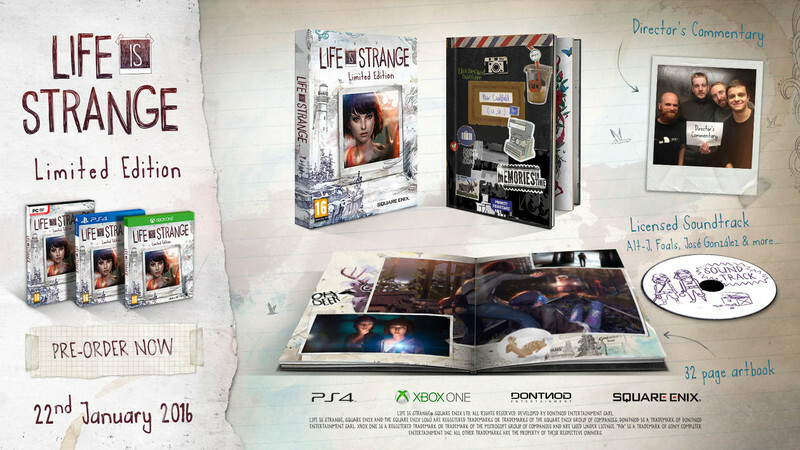 The good news is, more people will now have the chance to be possibly exposed to the greatness of Life Is Strange, when it gets a limited special edition retail release come January. The retail version collects all five episodes, and puts them in one package; alongside that, it also includes an artbook, a bonus soundtrack, and director’s commentary. The retail edition is, as were the digital episodes, being published by Square Enix, and will be made available only on Xbox One, PlayStation 4, and PC- sorry Xbox 360 and PS3 owners.